We are living in interesting times. We are living in a time that history has never seen before. The past can be accessed at all times of day. History can be pulled back up and bought into the now at the touch of our finger tips. The internet and social media (although it has its faults, thats a whole other discussion), has an unlimited potential to educate and bring so many folks of similar interests and sub cultures together in a way history has never seen before. 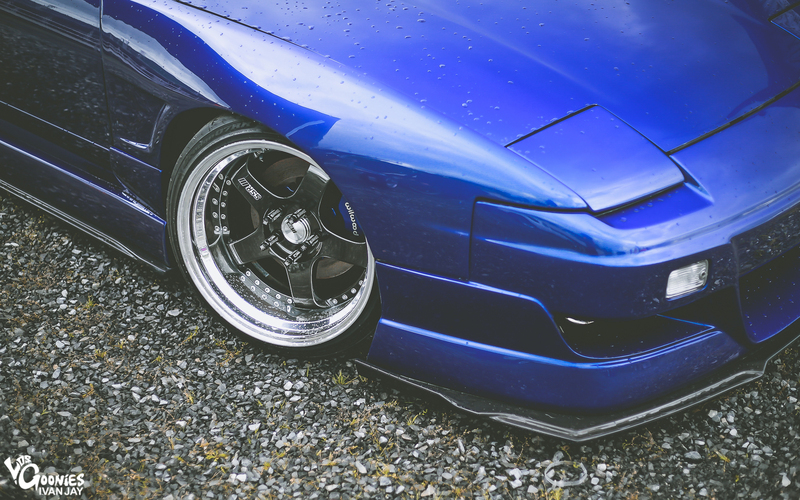 In terms of the car world, we are exposed to so much through the internet. 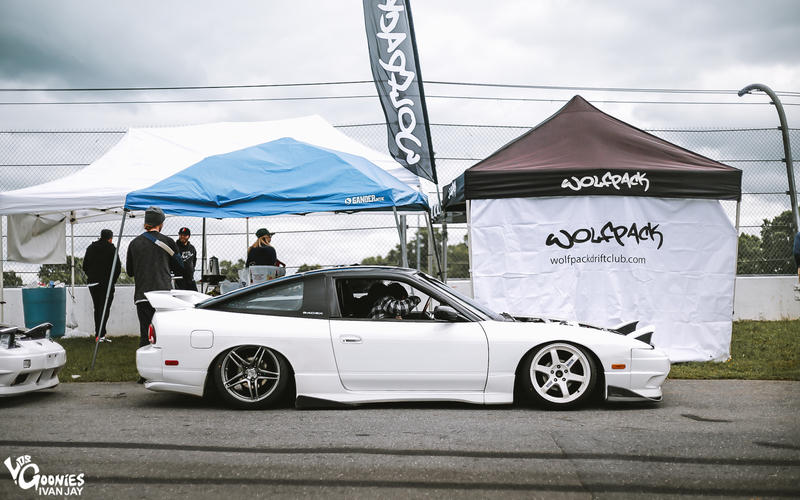 Modern day car enthusiasts get to see what everyone is building and driving all over the world with just few swipes of the fingers. There are thousands of pages showcasing the work of these builders and fanatics (whether they want people to or not). 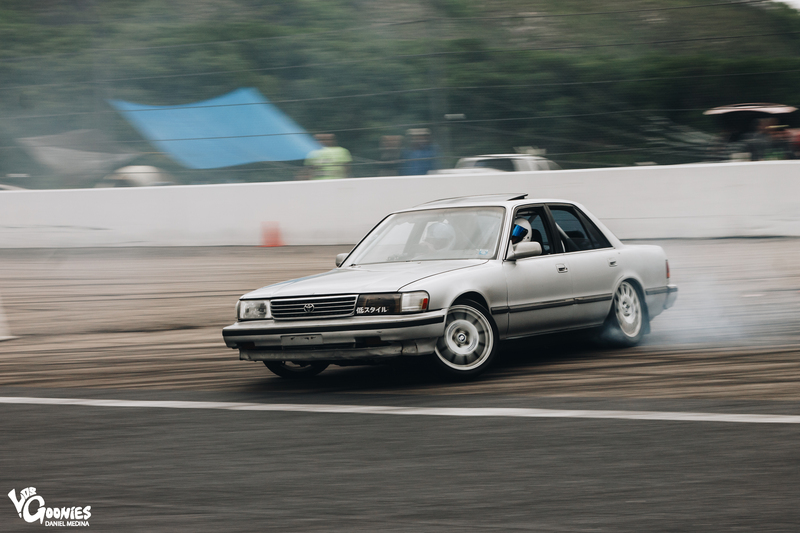 We also have the folks who are upholding the culture and showing the younger enthusiasts what people were building back when we pretty much just had automotive forums and VHS tapes to show us what was going on. 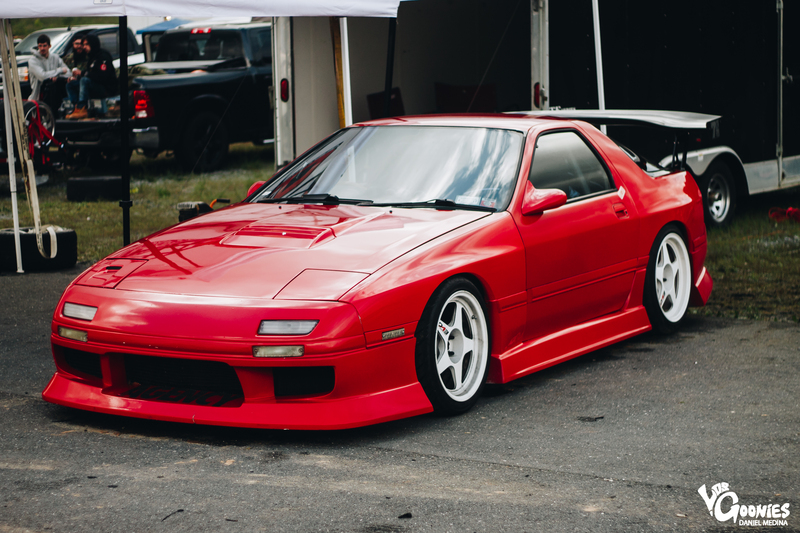 For us, import automotive enthusiasts located in the USA at that time period, that is pretty much all we had. 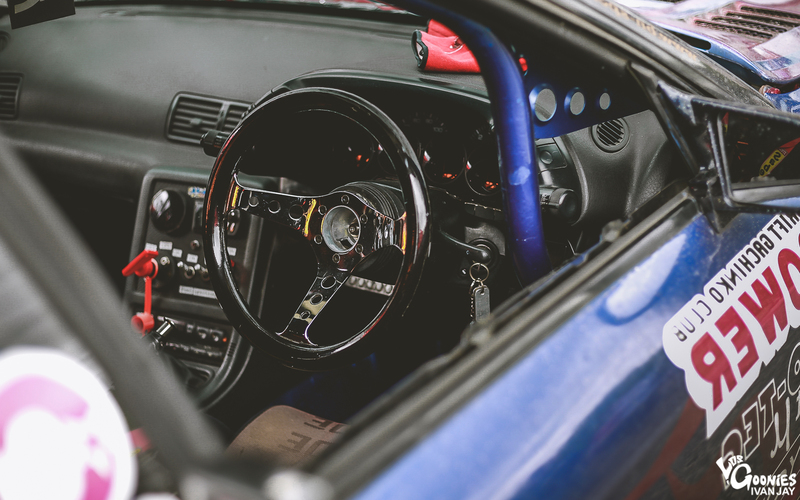 Especially if you were into this foreign idea to the average automotive world, called…. 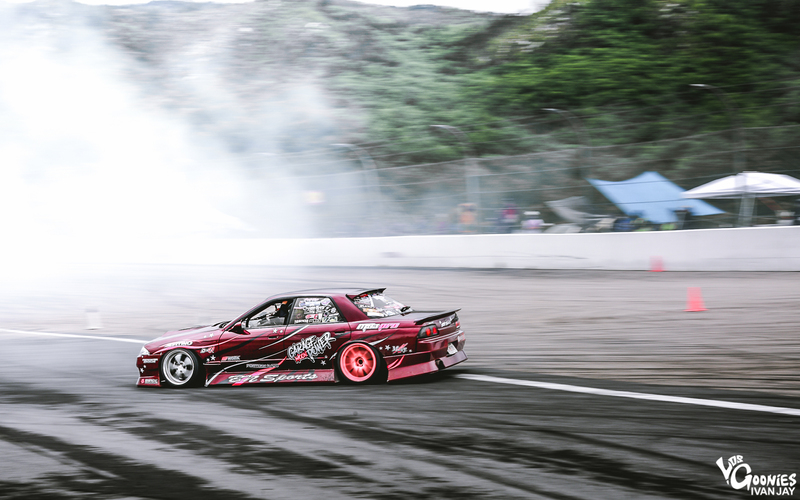 Drifting. 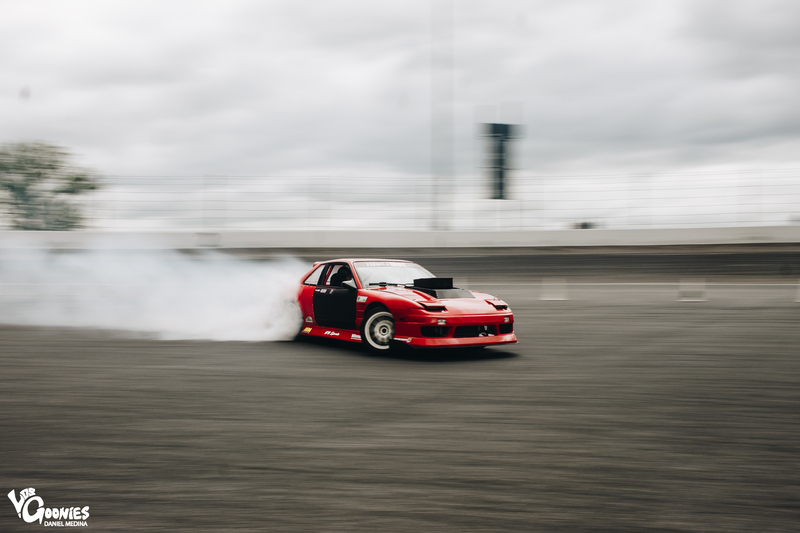 Unless you were fortunate enough to travel abroad and check out other automotive cultures in person, it just wasn’t that easily accessible. 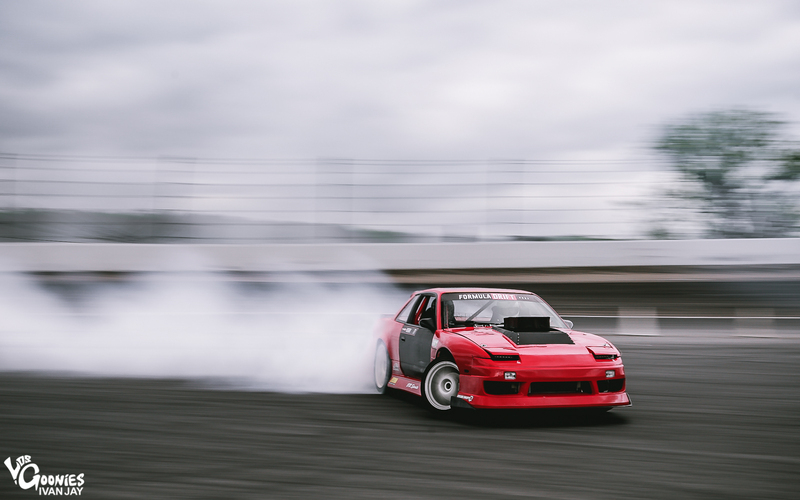 Drifting was this thing that so many of us wanted to find and see more information on. 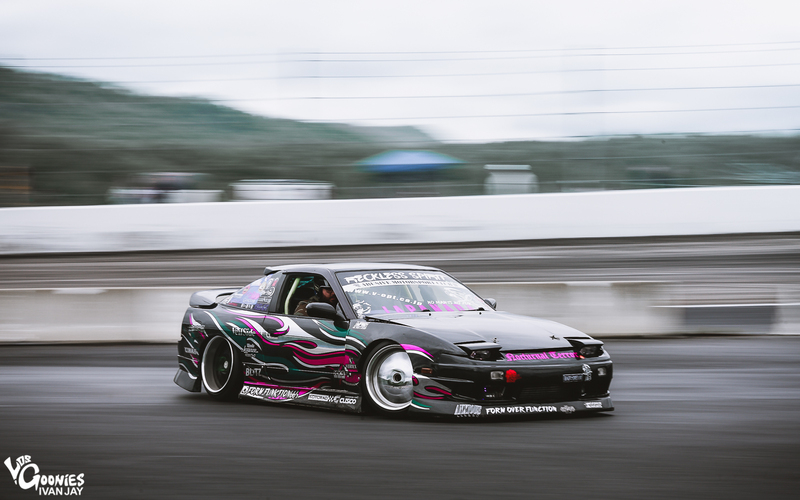 Most of us had to pay a pretty hefty premium importing Japanese Video Option, Drift Tengoku, and Hot Version tapes into the USA. We couldn’t get enough of it either. The cars in those videos not only drove good, but they looked absolutely amazing. 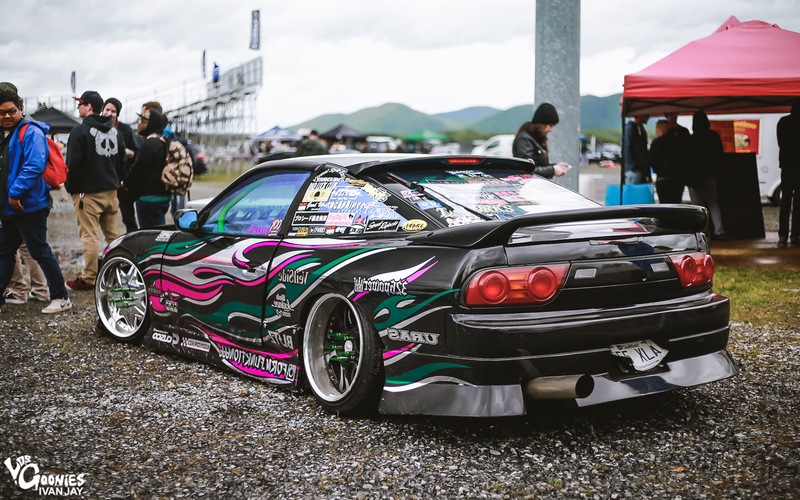 Seeing the early days and even the early competitive days of many driving and car tuning legends hooked us onto to this automotive art. Fast forward a few years. 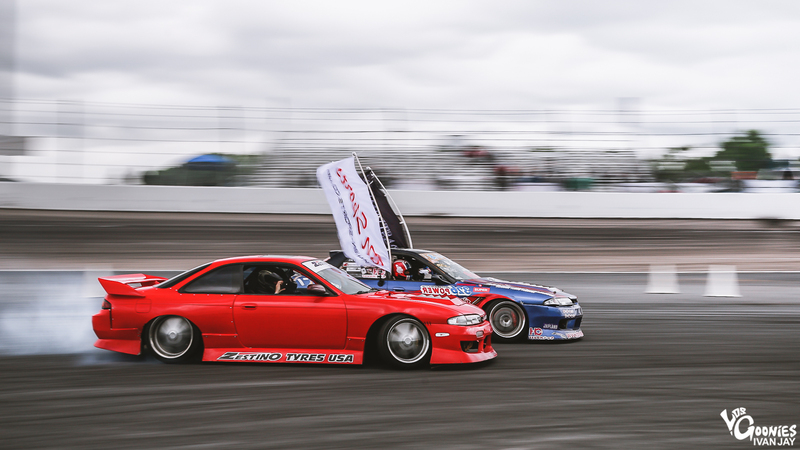 Drifting comes to the USA. 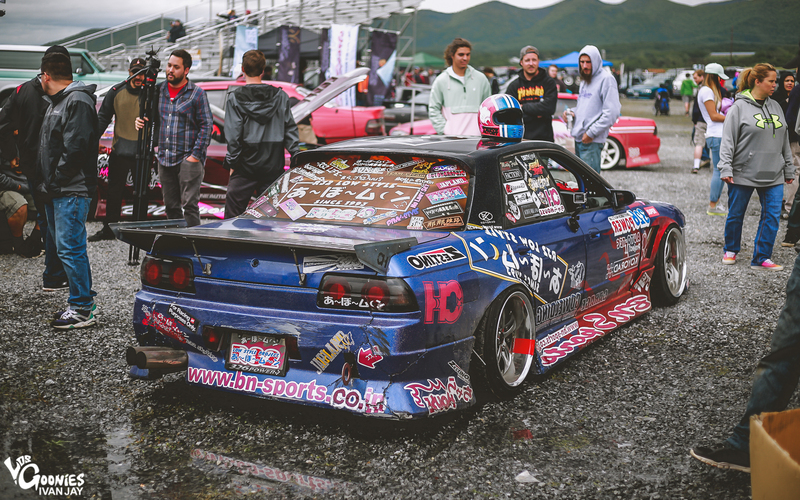 Many Japanese tuning giants came over too, looking to expand their brands into the American market. 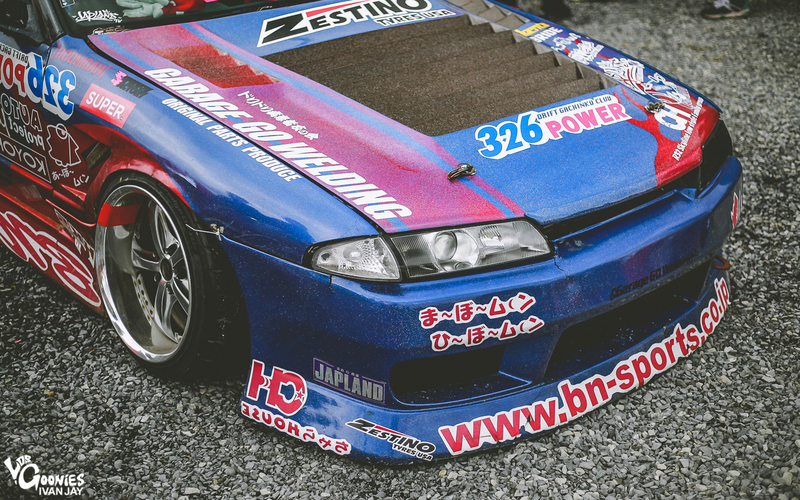 One of those brands being aero maker and style connoisseur, BN Sports. 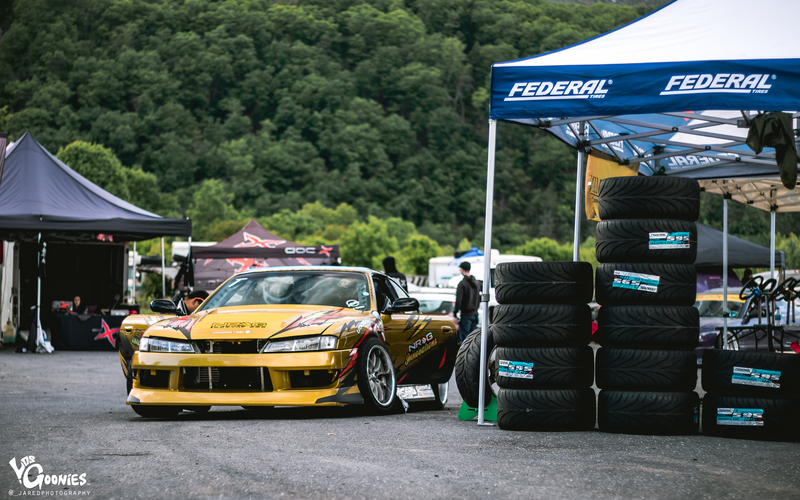 From street driven builds to professional drivers had their builds armed in BN armor. 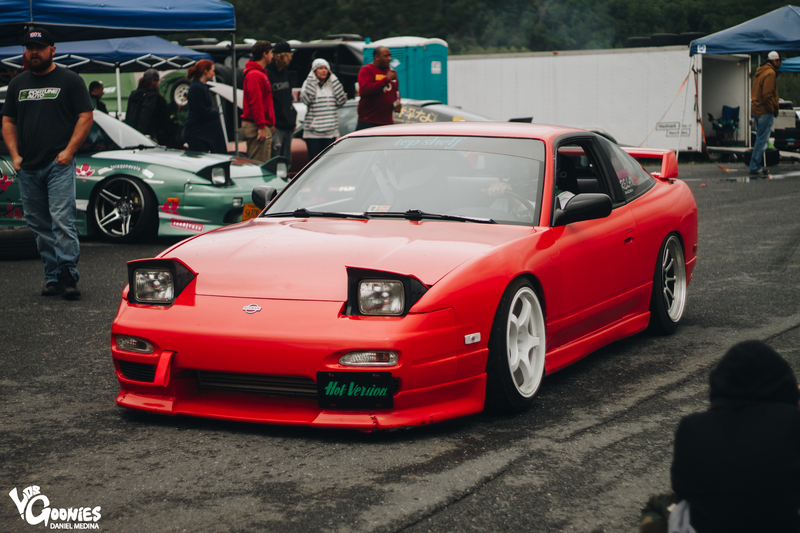 Unfortunately, for many of the overseas style makers in this industry, they had to make an exit from the U.S. market due to an overwhelming amount of people replicating and faking their aero designs. The love for their aero and design never really went away though. 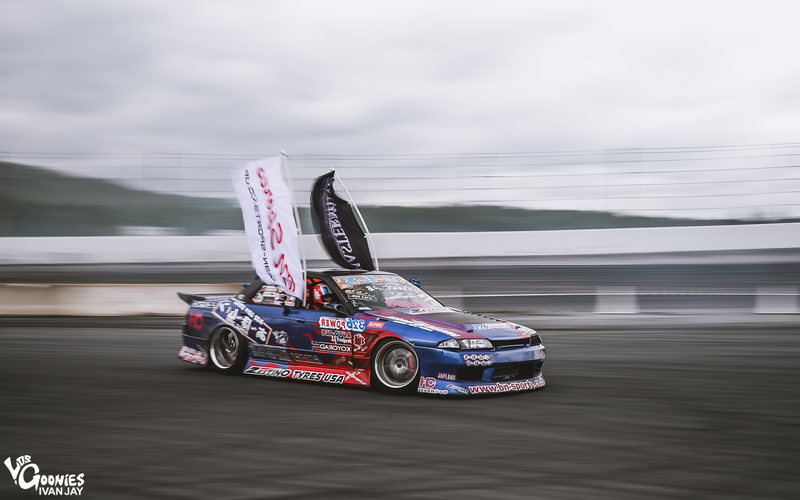 Social medias came along, and so many enthusiasts young and old started to make a strong effort to learn about the “glory days” of cool looking drift cars from Japan. A few teams and drivers started to get a online following as well. 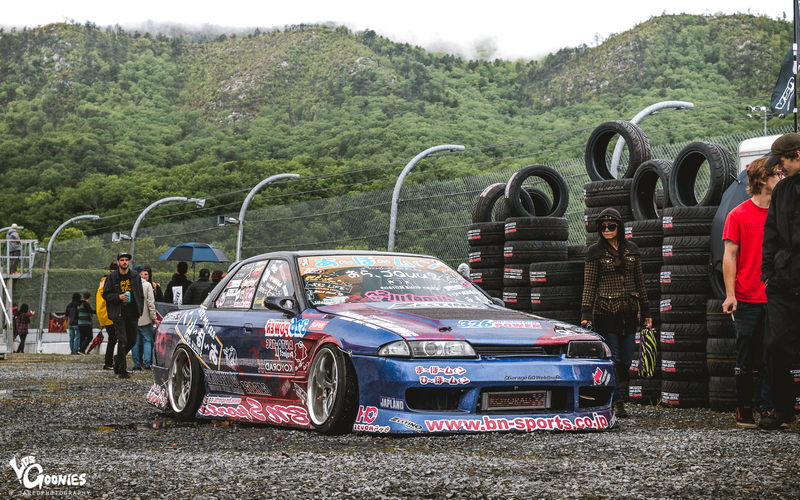 One of those being team A-Bo-Moon, a Japanese drift team full of dozens of blue 4 door R32 Nissan Skylines. The founding members of that team were two brothers, the elder, Tomonori and the younger Akinobu Satsukawa. Tomonori left the team to be ran by his younger brother Akinobu aka Akino. 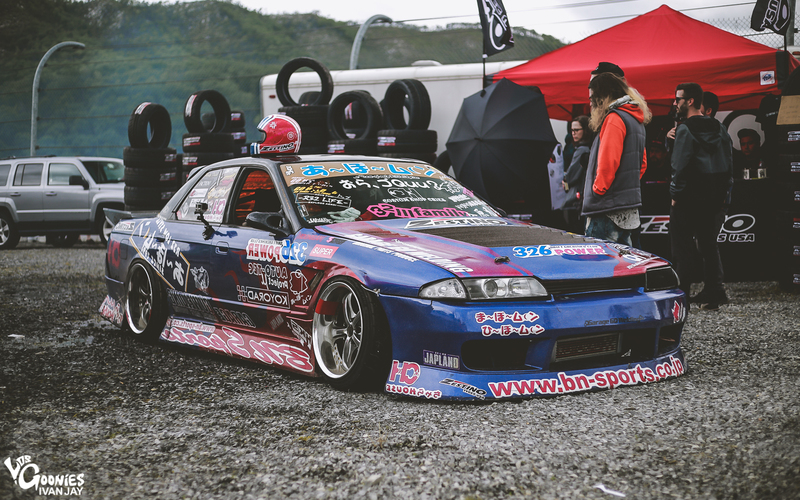 Akino’s BNSports cladded R32 and Team ABOMOON have amassed a major following worldwide. Fast forward now to 2017. 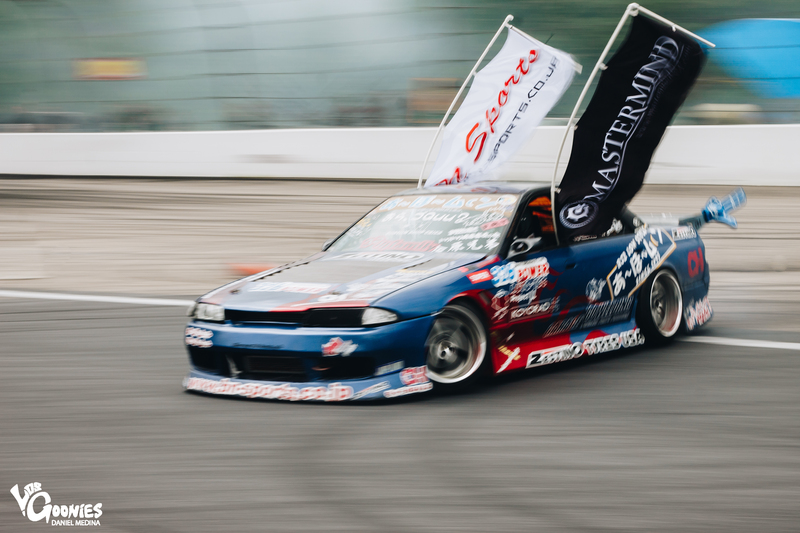 With the help of long time JDM parts distributor, MasterMind NA, BN Sports has made it’s return to the American market. The rad guys and girls of these brands decided to take things a step further to make a really special moment in time. 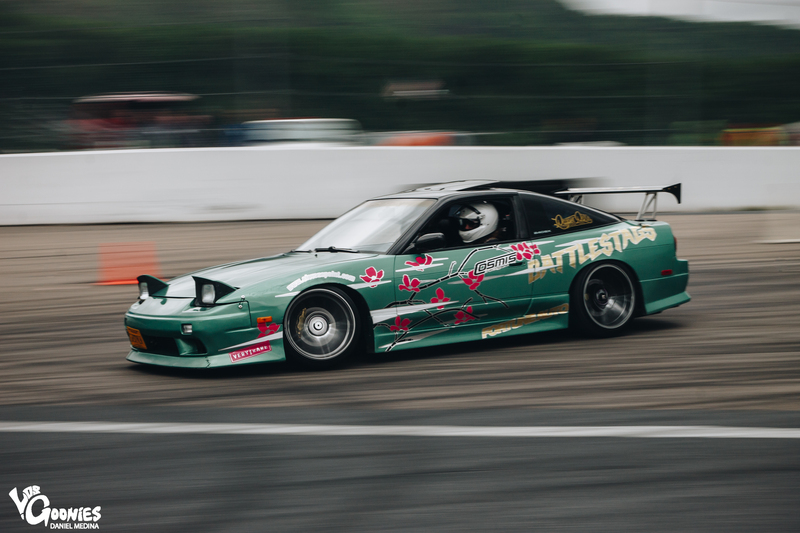 These two brands and a few other big names like Zestino Tyre and Superwow Factory came together to make an event dedicated to those who fell in love with this sport in its glory days. Then they decided to do one better so they made it centered around a long time style O.G., Akino Satsukawa. Lets take it a step further. 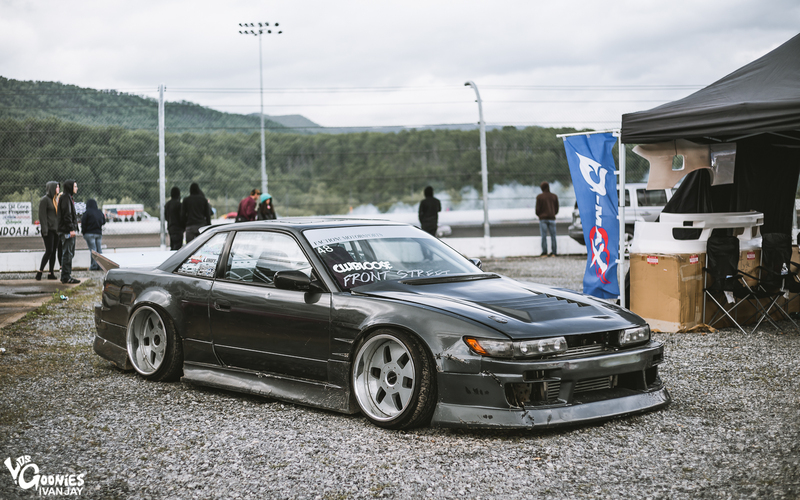 Let’s ship the style king’s car to the states to do some sweet skids. Ladies and gentlemen, I present to you, Low Style Heroes, Vol.1. And man, I’m glad all parties involved made this happen. 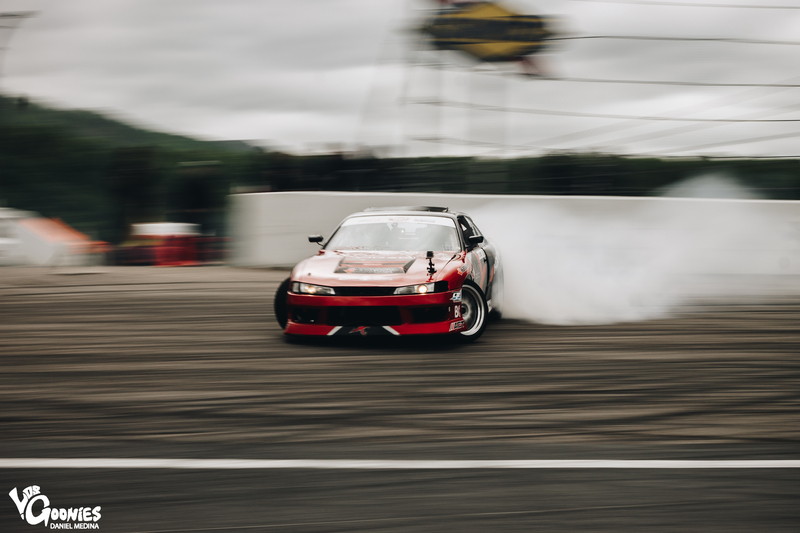 Being very active in the northeast drift community, it was very nice to see what another area of the country had to offer in terms of exciting driving and style. Myself and some of the media team members (Ivan Villanueva, Jared Rodil, and Daniel Medina) caravanned bright and early to make the trek from New Jersey to Virginia. As we were approaching the venue, we were taken back by the scenery. Shenandoah, Virginia is a beautiful backdrop. Us Tri-state (NY/NJ/CT) folks are not used to being somewhere that is that full of country backroads, nature, and just sound of silence. Now obviously there was not any silence at the event, but you get the point. The track itself was a pretty large banked oval track set deep in a backdrop of rolling green hills everywhere you looked. Unfortunately the weather was not the most ideal when we attended the last of this two day event. When we arrived from our 5 hour drive down to the venue, in the late AM hours, the rain was relentless. 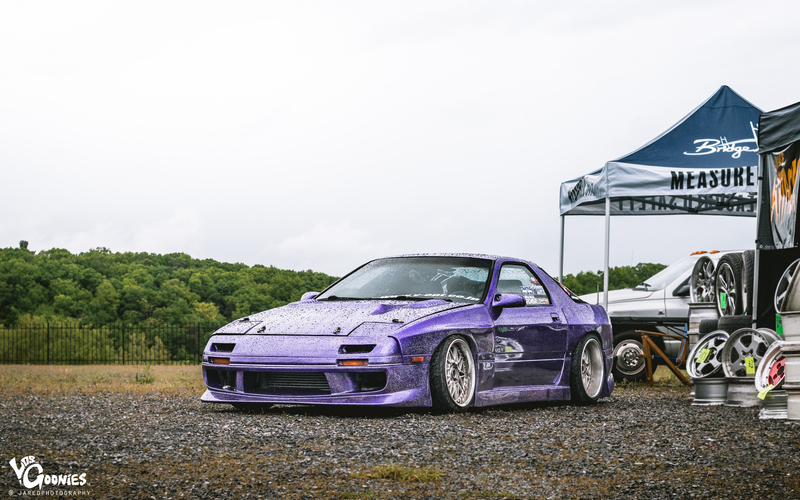 Some of the driving at the event in the early hours was done in the wet. On top of all that, it was a little on the cold side on the weather front. Despite all that, everyone braved it out. And within a few hours, the weather cleared up with some sun. There was this cloudy over cast over the track which made everyone feel like they were attending a famous Japanese race track. It definitely added to the dramatics from a media standpoint. Attendees of the event were treated with a very open atmosphere. 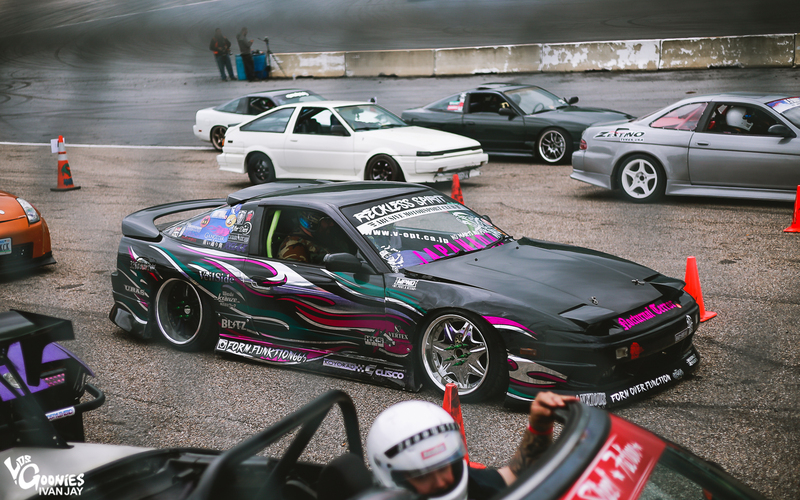 There was no divide between the spectators and drivers. 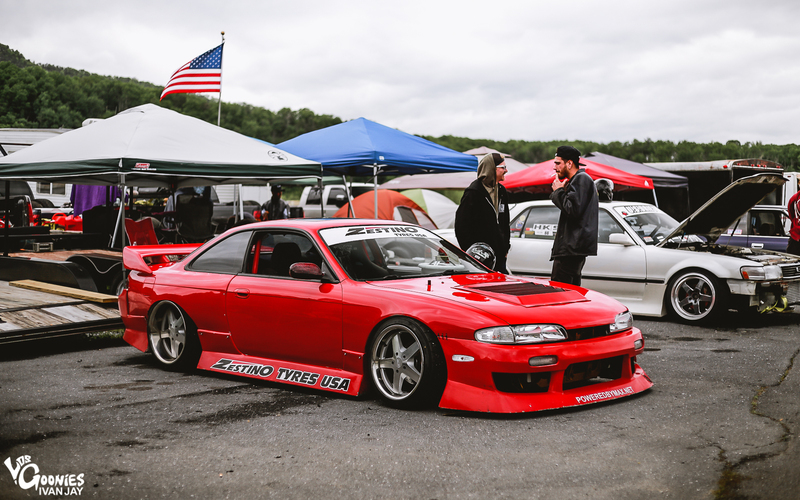 Anyone could check out cars up close and personal of your favorite cars you only get to see on the internet. Now MastermindNA and BN Sports made sure that ABOMOON wasn’t the only heavy hitter in attendance. 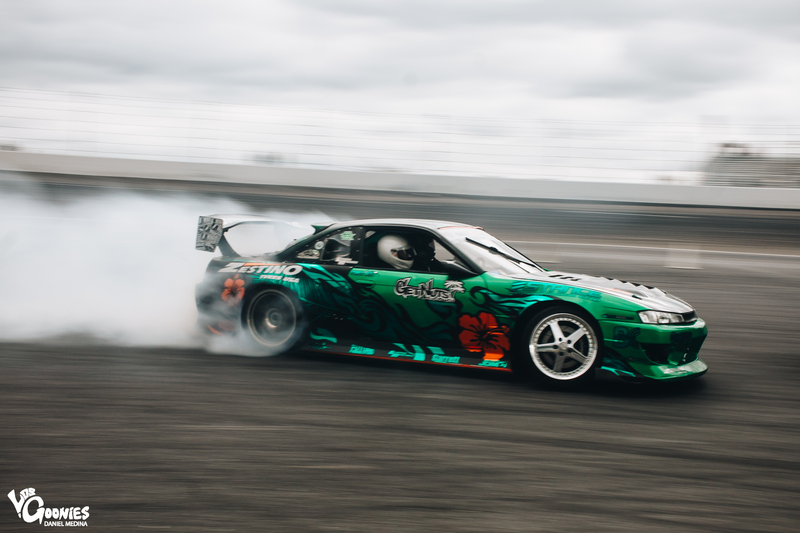 Pretty much every U.S. based BNSports Pro1 and Pro2 drivers were in attendance and armed with a pretty much unlimited amount of tires to kill. 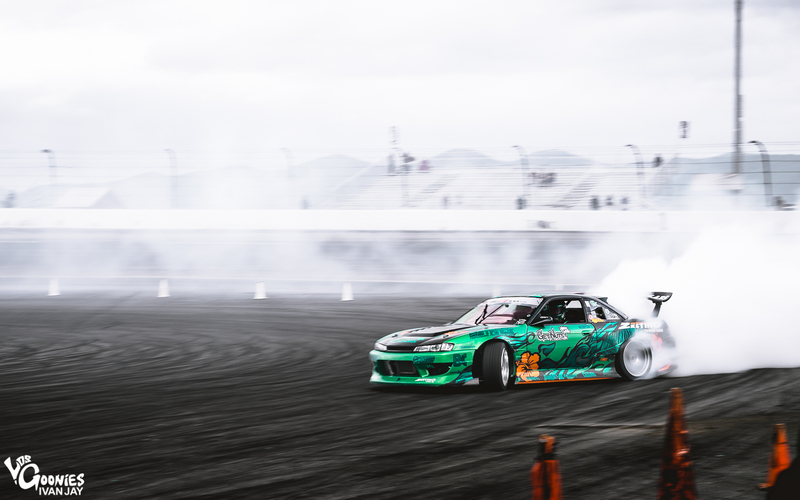 Cameron Moore, Ryan Litteral, Jeff Jones, and Travis Reeder came out in their BN sponsored tire shredders. Not only that, Get Nuts Lab mastermind and O.G. 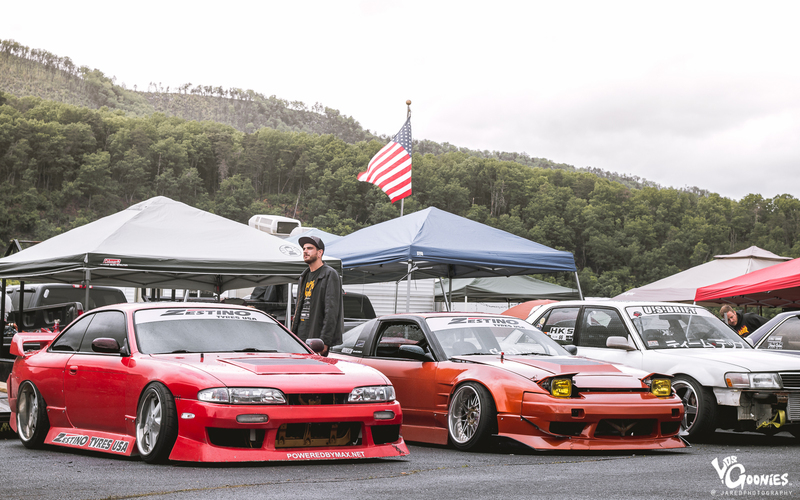 USA style king, Forrest Wang, made the long trek out with two of his creations. 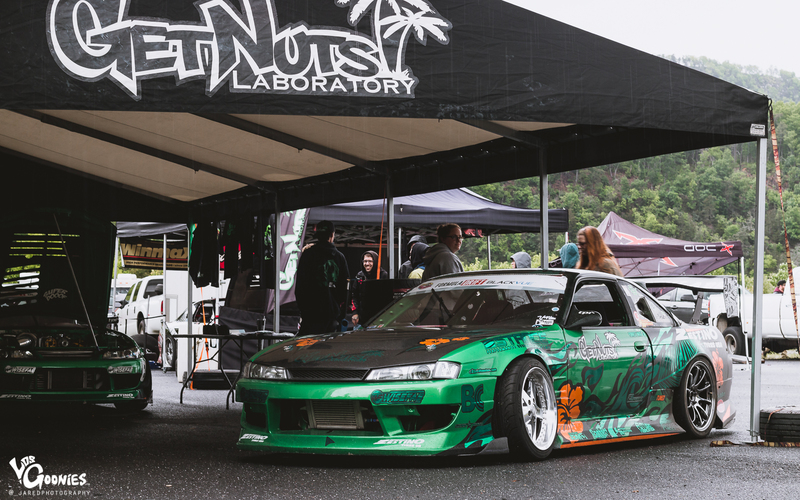 His 2JZ powered S14 and S15 mixed with his unmatched skill of using all up all of his Wisefab steering components made for some memorable exciting driving for all to enjoy. 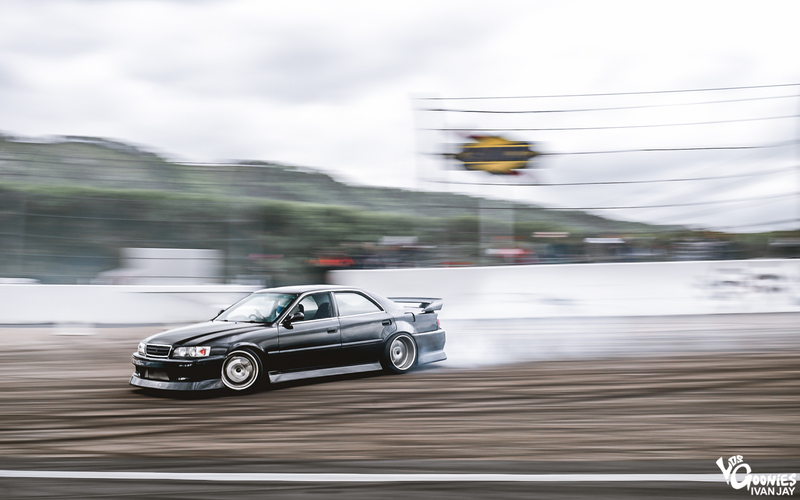 Forrest was wowing the crowd with some super rad 360 drifts off the bank into the infield of the track all day. This dude just has so much style. 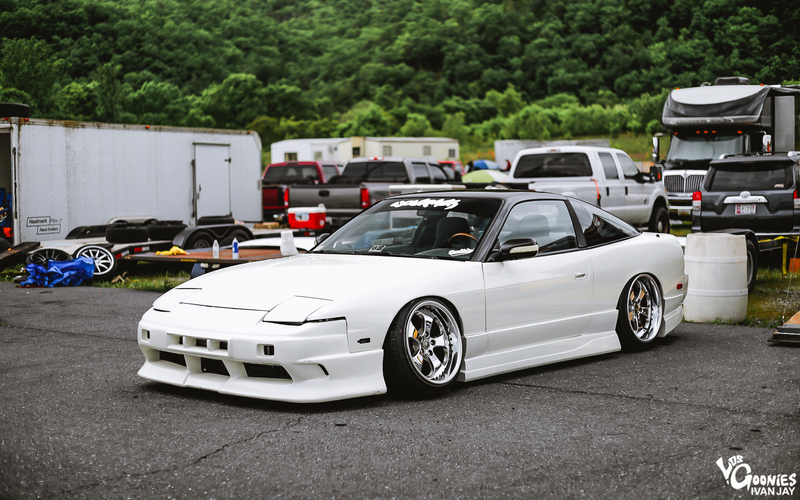 Its one thing to have a good looking car. 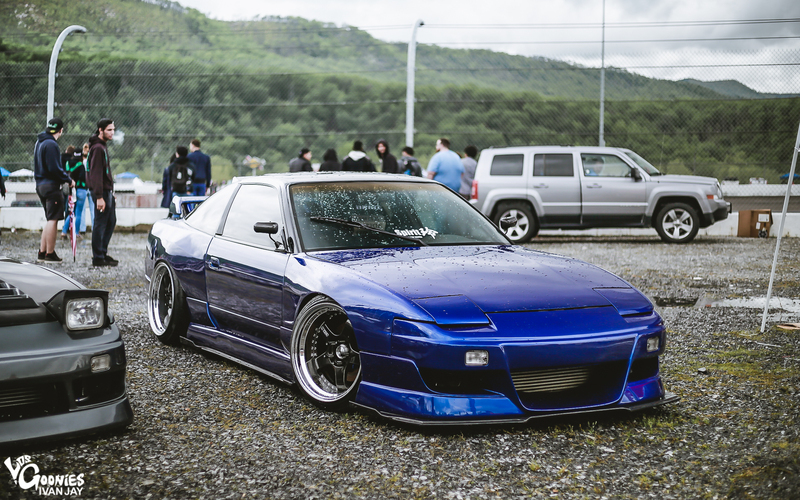 Its another thing when your good looking car has the driver skill to back it up. 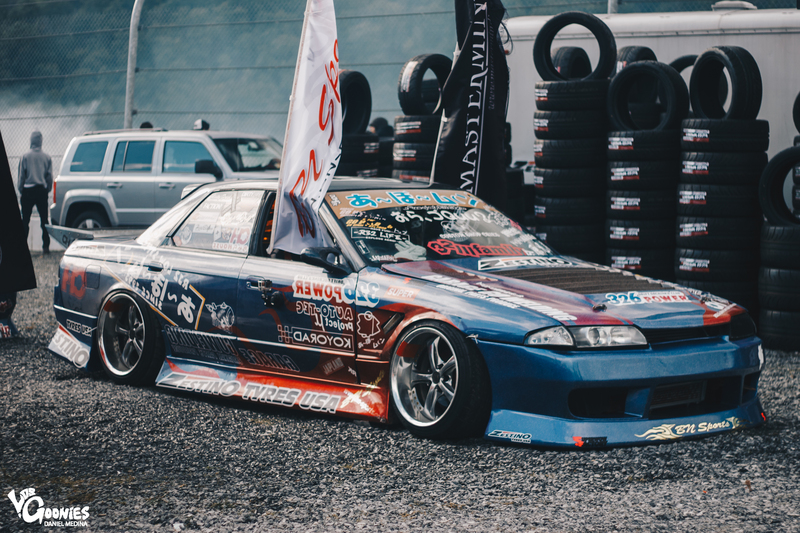 The man and car of the hour (more like the entire event lol) was of course Akinobu Satsukawa and his famous Low Style R32 Nissan Skyline sedan. When we first laid eyes on it, when stared at it for about 10 minutes just saying “WOW” amongst ourselves. 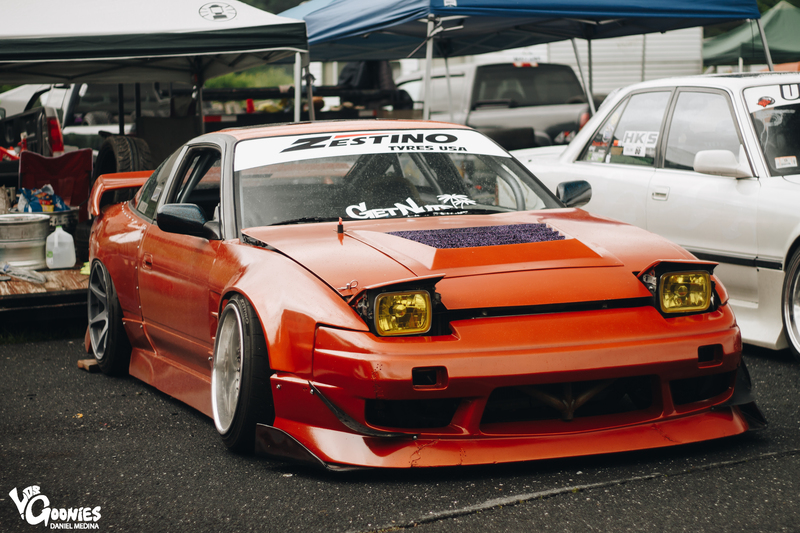 Rough around the edges, and even sketchy from a build stand point. But that just adds to the charm. Seeing something that you have admired or loved for YEARS right in front of you is always an incredible feeling. A lot of times it will leave you struggling to come up with something understandable to say because you are just going to mutter some forgetful verbal garbage. We all did just that for a few minutes. Every attendee did. 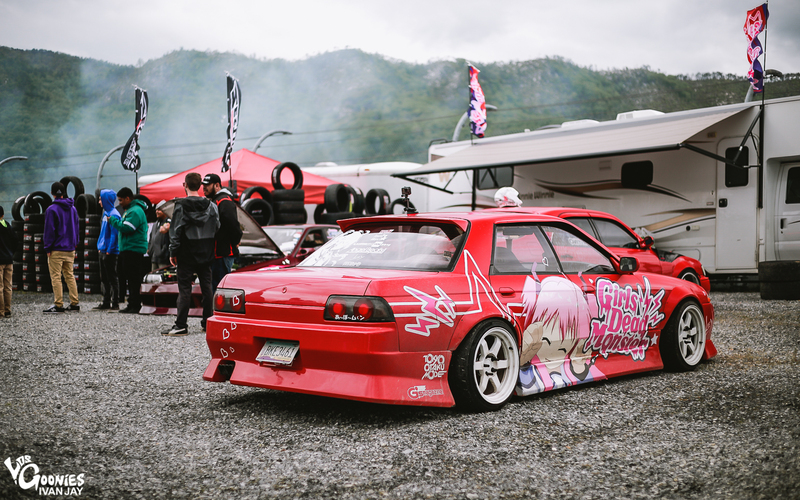 Even better yet, the car fits Akino and his style. Akino is a character. He wants to put on a show and just have a great time. Sometimes, people say not to meet your heroes. That statement did not hold true in the case of leader of the great A-Bo-Moon. 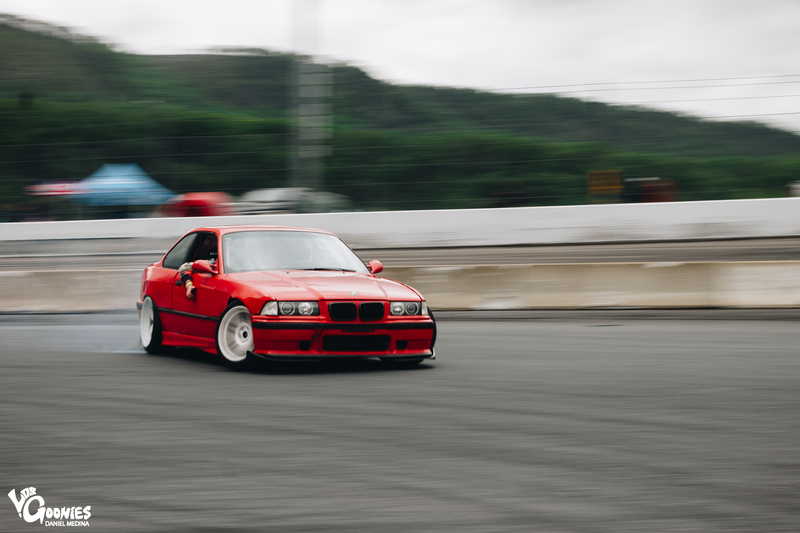 What was even more impressive than seeing this car sit still was it in motion. 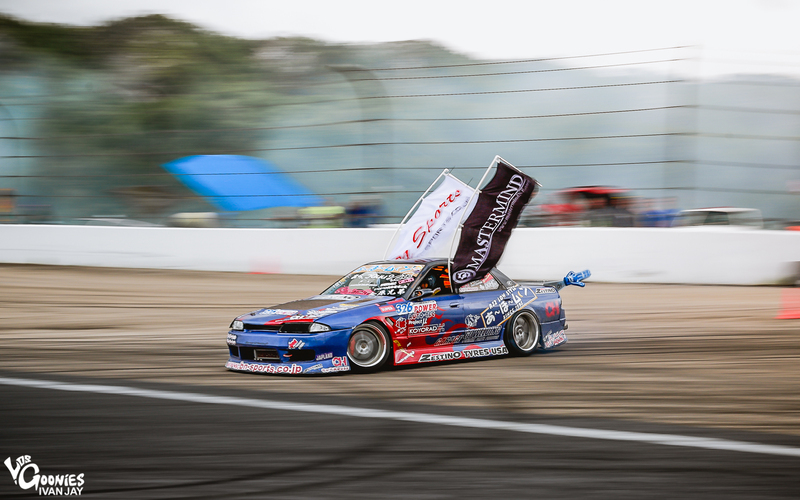 Akino is no stranger to driving a low car well. 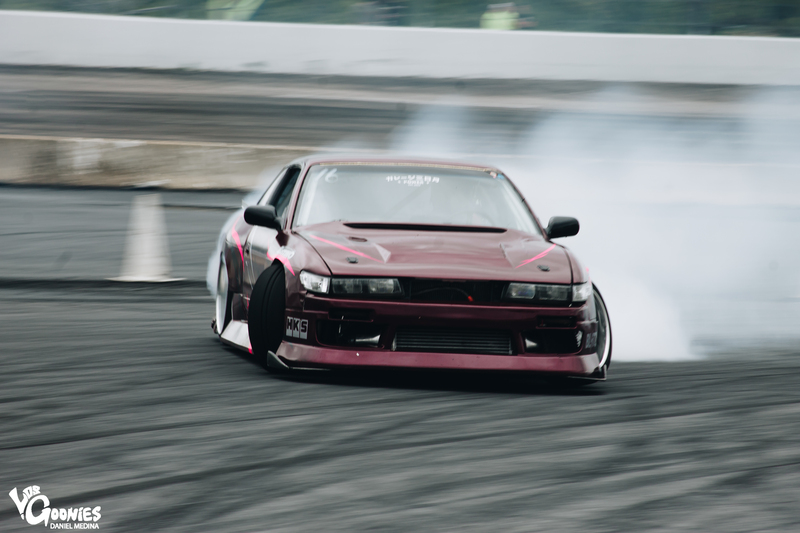 Japanese drift tracks never have banked ovals like we have here in the states. So usually a lot of people from overseas have a difficult time adjusting to that when driving in the USA. Not for Akino. 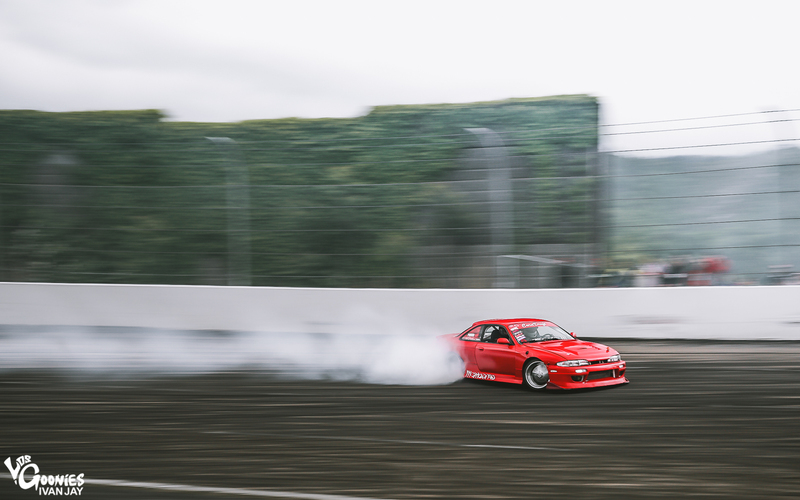 At times, he drove the track better than the locals. 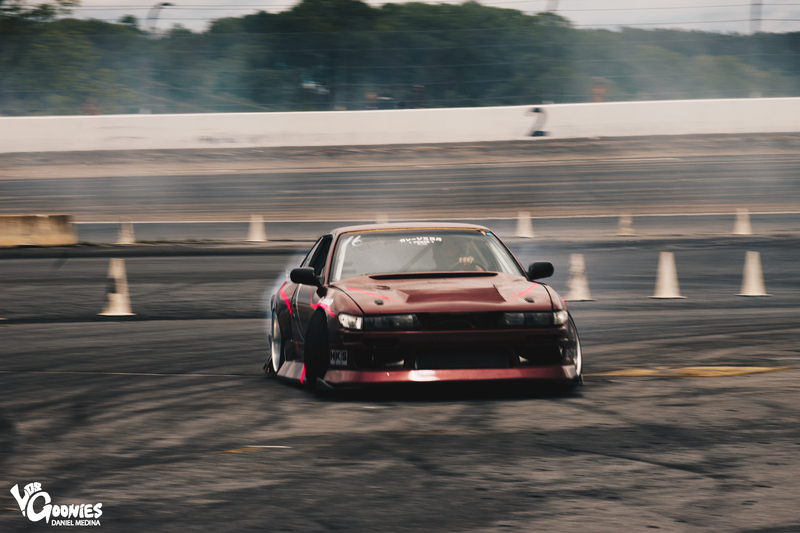 Instead of using a manji drift technique on the left turn big bank into the left turn into the infield section of the track, he would connect it all with one fast, effortless motion, heavy on the limiter because its all about style folks. 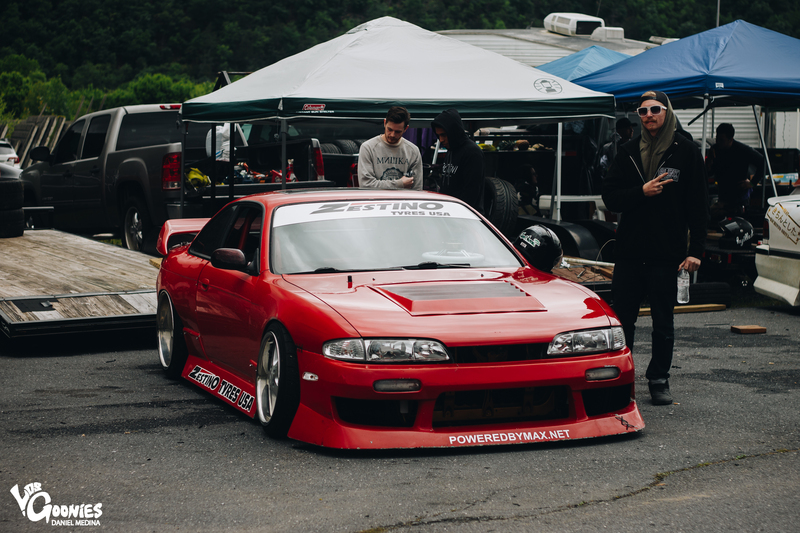 Jeff Jones’s S14 and Mike Perez‘s Supra was a good time lol. 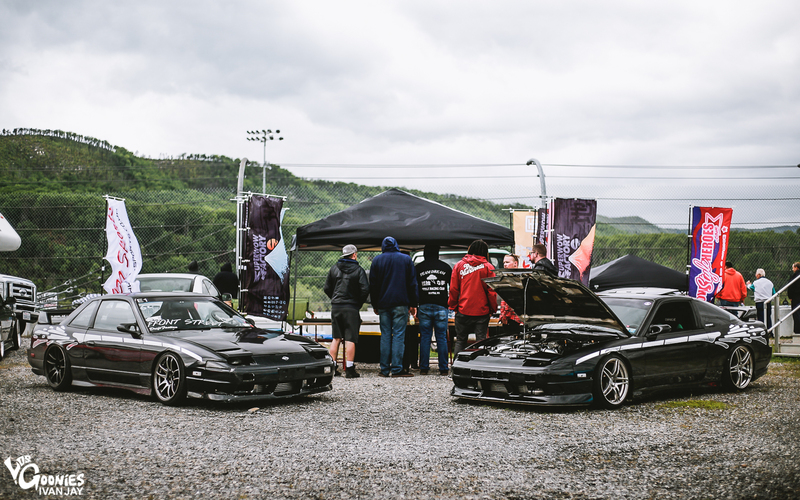 The other really cool thing about this event was seeing everyone mix it up and try to drive with one another no matter the driving level or experience. Everyone was trying to put on a show and just enjoy each others vibes. The comradery between the drivers is something that is always amazing about this sport. 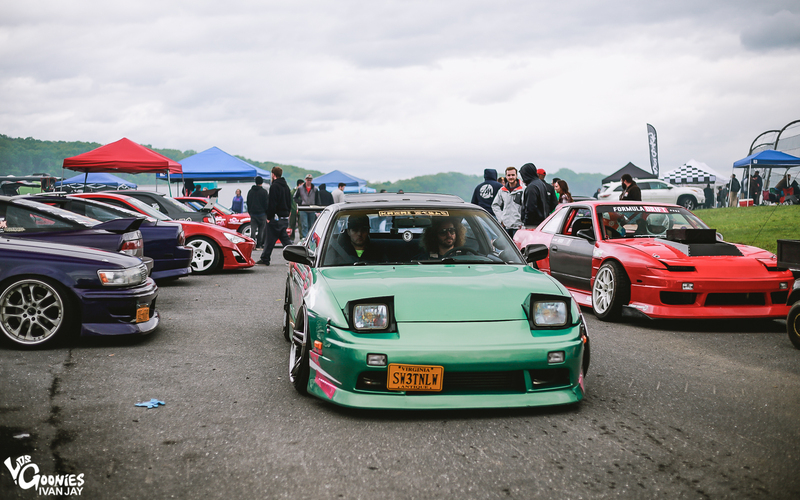 What made it even better was how much everyone cared about their car being as cool as it drove. 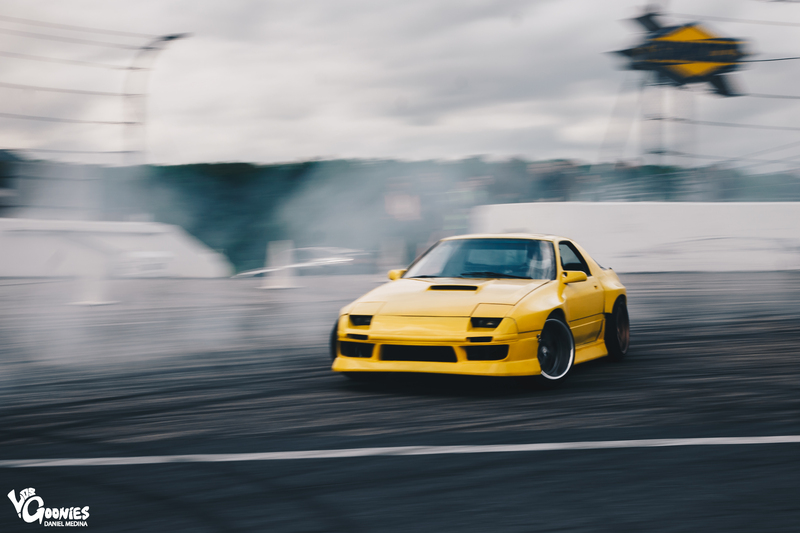 This event gave drivers their seat time for sure. 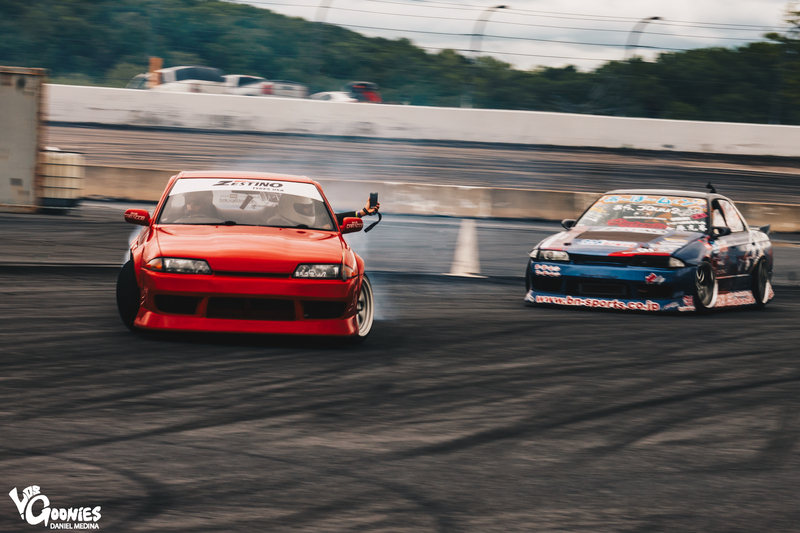 Props to the local track organizer’s SwingSet Drift for working the track all day long for these drivers to let loose. Props to you guys. It was nice to see how many folks traveled from all over the country to come out to this event. Once again the power of social media is pretty cool sometimes. Especially when its used for good moments like this. 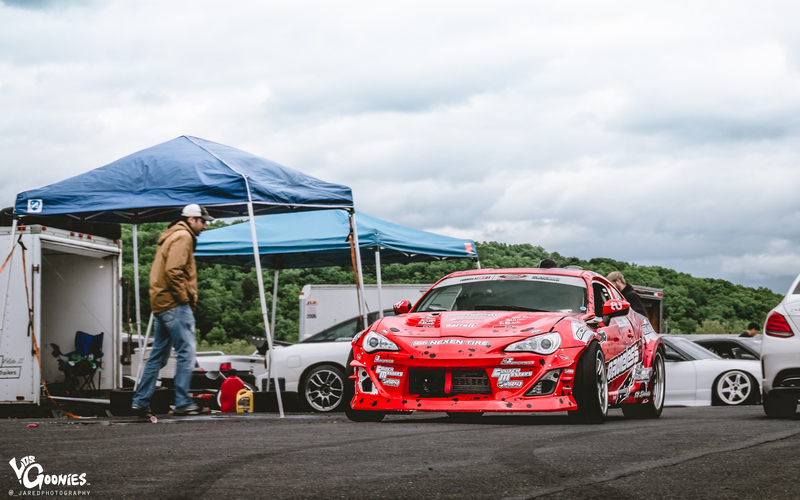 Walking the racetrack pits was a treat. A lot of really cool things to look at, no matter what direction you were looking at. 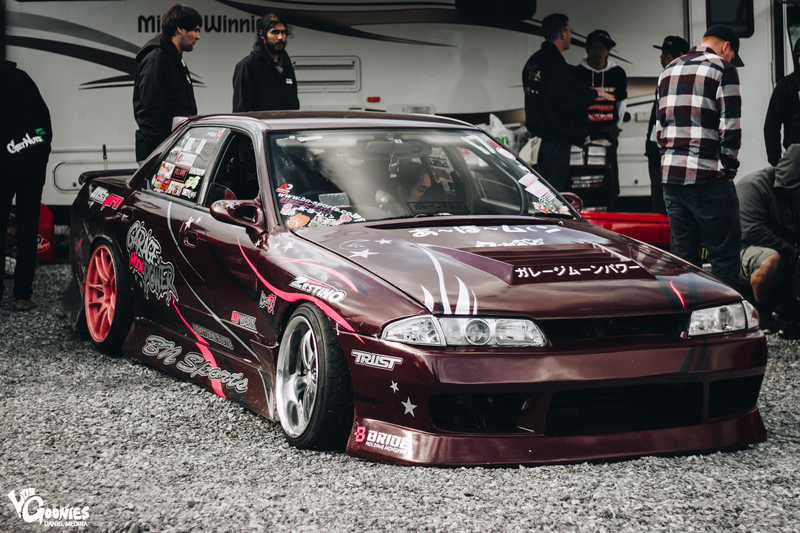 Whether it was car resting for a moment between driving sessions or if it was just a car sitting there to look cool. 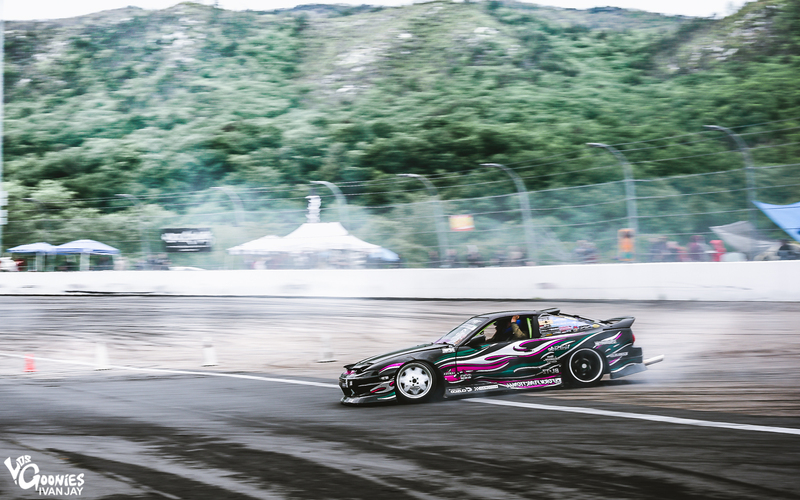 There was something for pretty much everyone especially for us drifting based enthusiasts. 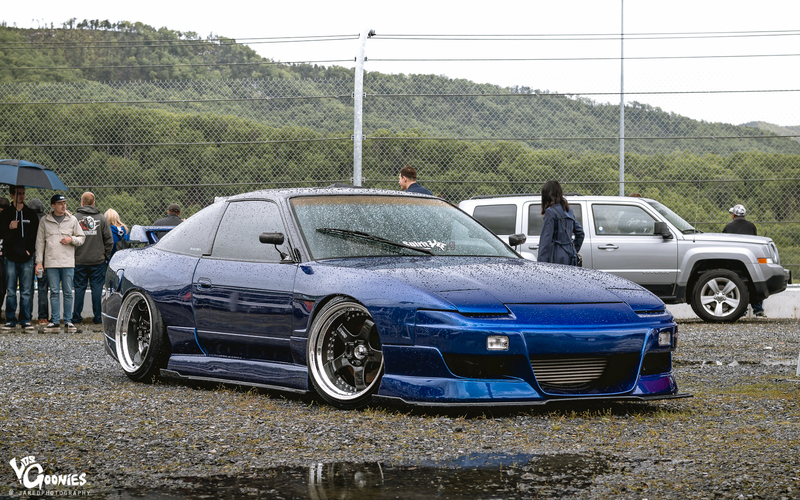 This Spirit Rei S13 240sx/180sx was absolutely flawless. 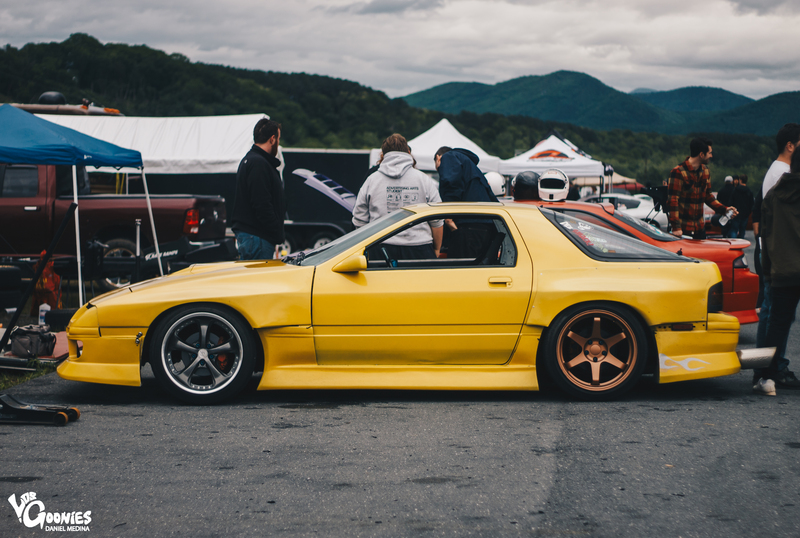 Beautifully put together car. Kudos. 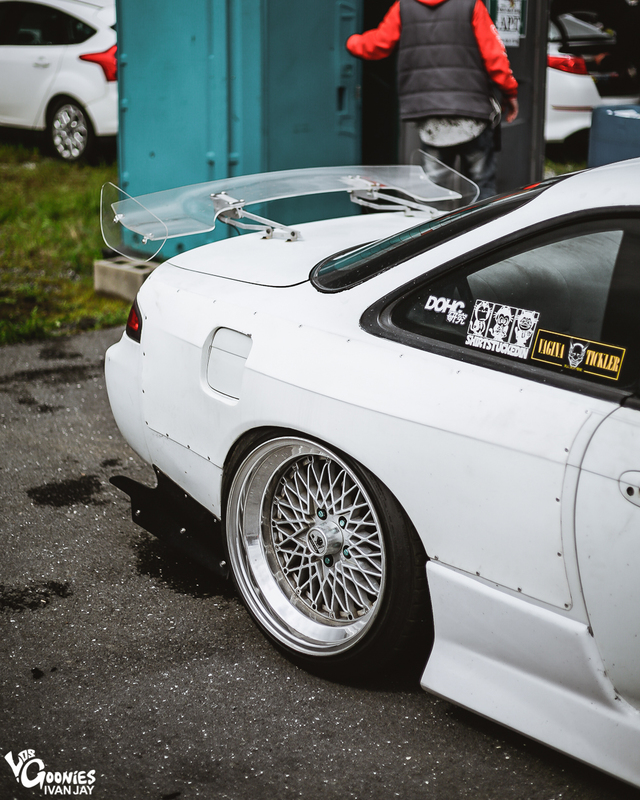 Cooley, this wing is so dope. Glad to see this thing out. 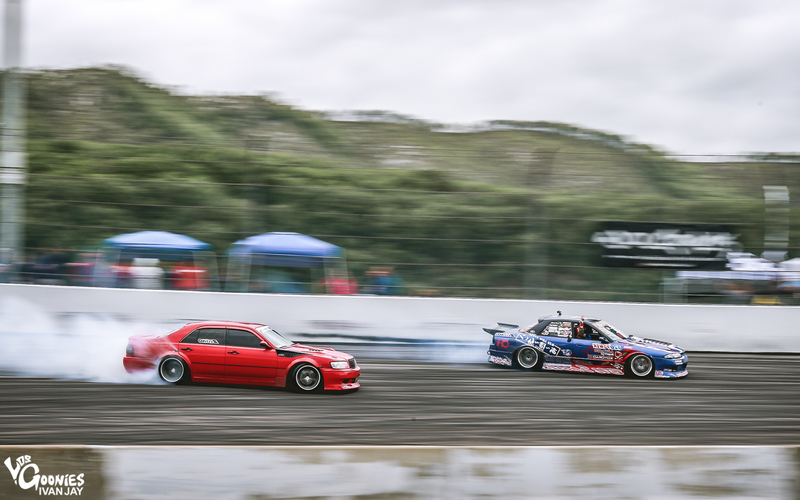 Fellow Clubloose locals Faction Motorsports came out with spectacular driving as always. 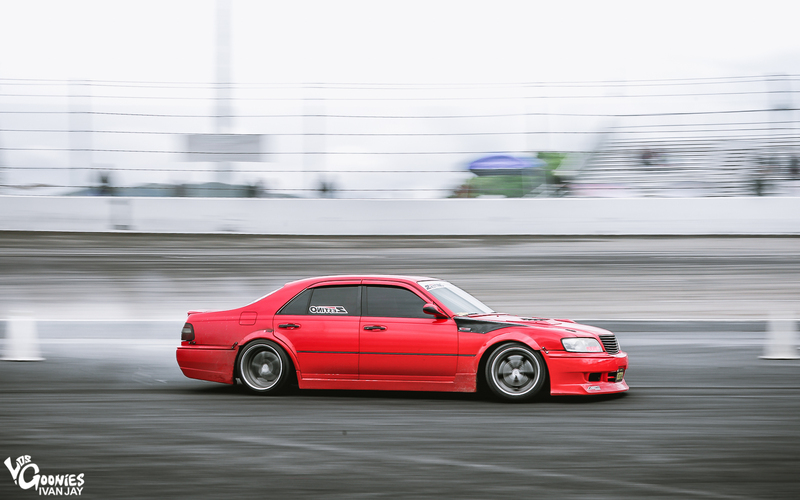 Justin Hoitsma debuted his newly built JZ’d MX83 Toyota Cressida and was killing it the entire day we attended. You make it look too easy man! 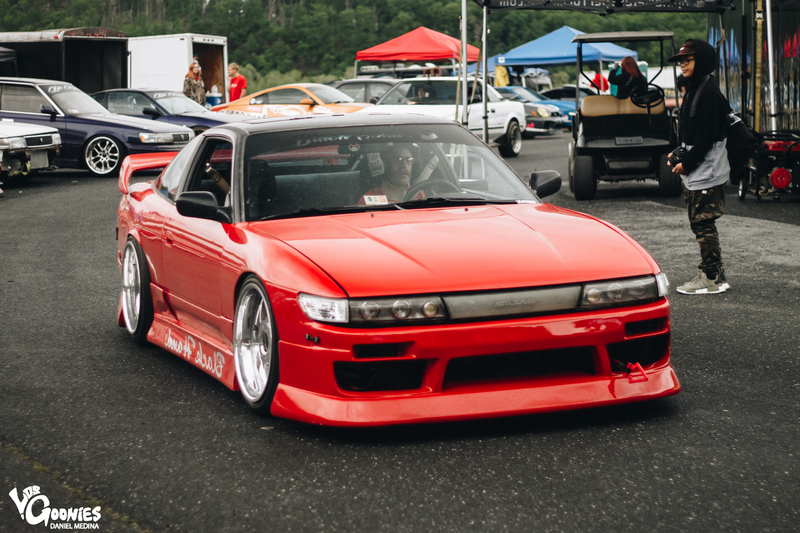 Wolfpack Drift Club, has some of the best looking S13 hatches on the planet. 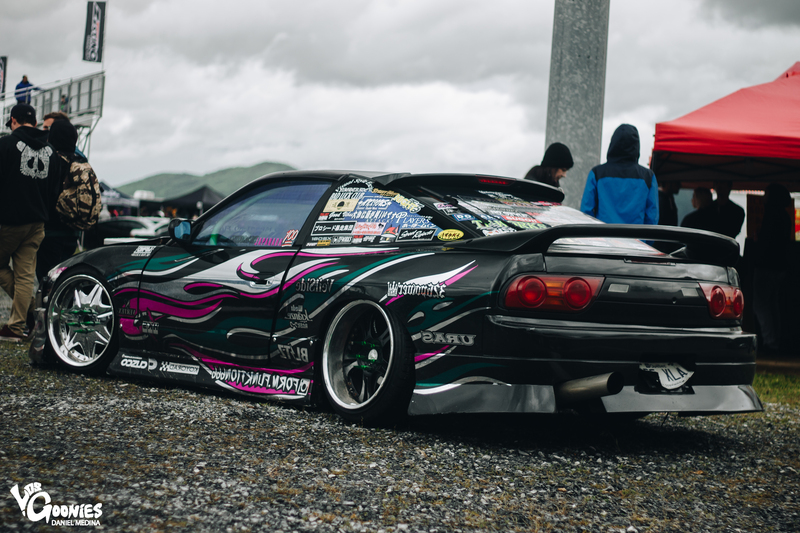 Nothing too over the top. 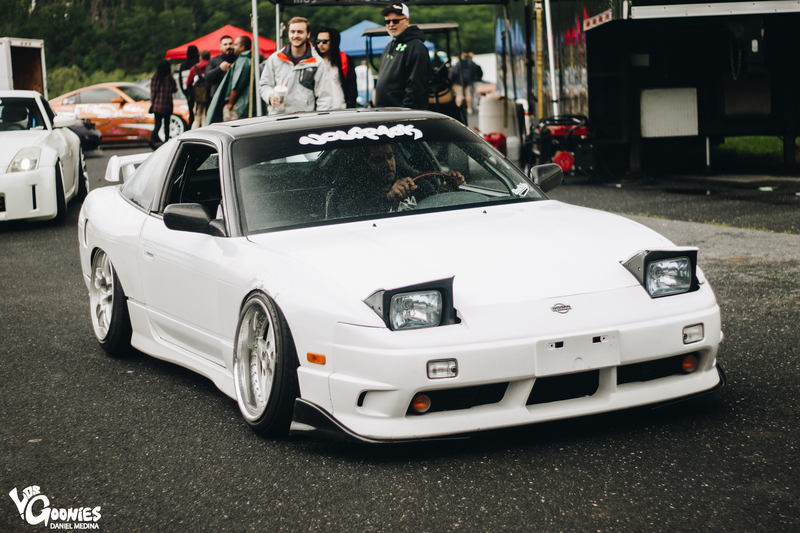 Just flat out timeless looks and effortless cool. 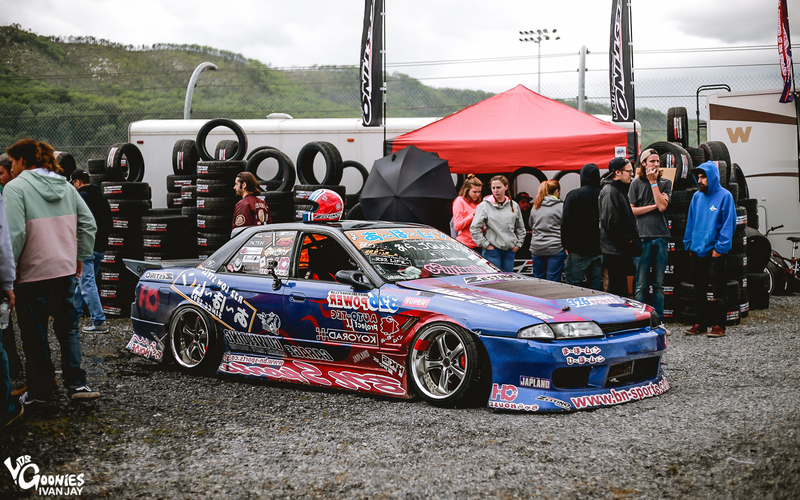 NY natives and Clubloose mainstays, Front Street Drift Club, made the trek down to show the locals how the Clubloosians do it. Rad driving as always guys. They even held it down at the SuperWow Factory booth too whenever they weren’t shredding the track. 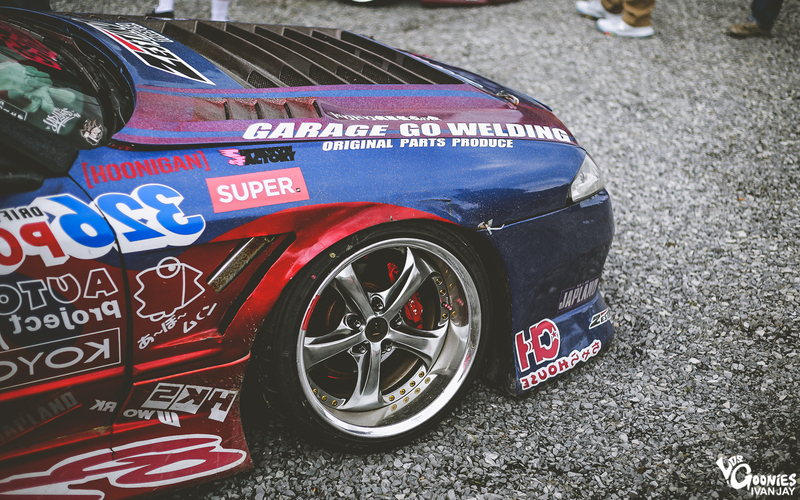 GarageMoon Power. These dudes shred. Thats all you need to know. 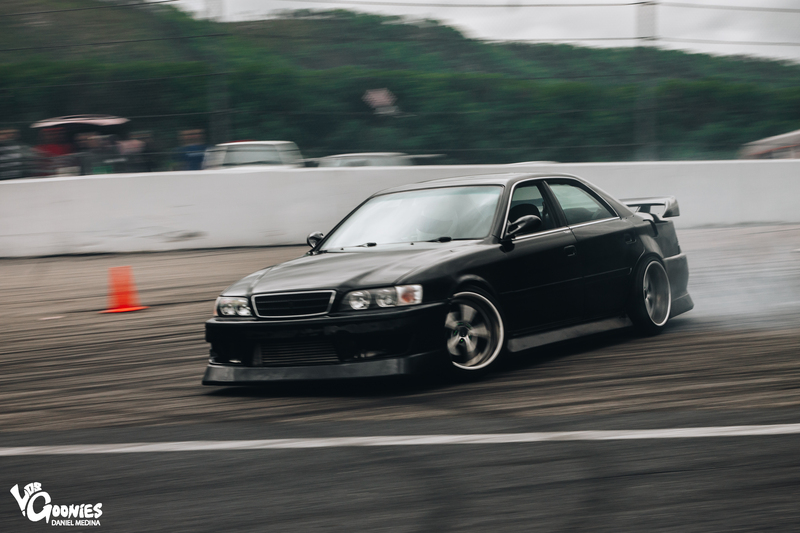 Also, we were so happy to see so many rad sedans in one place. 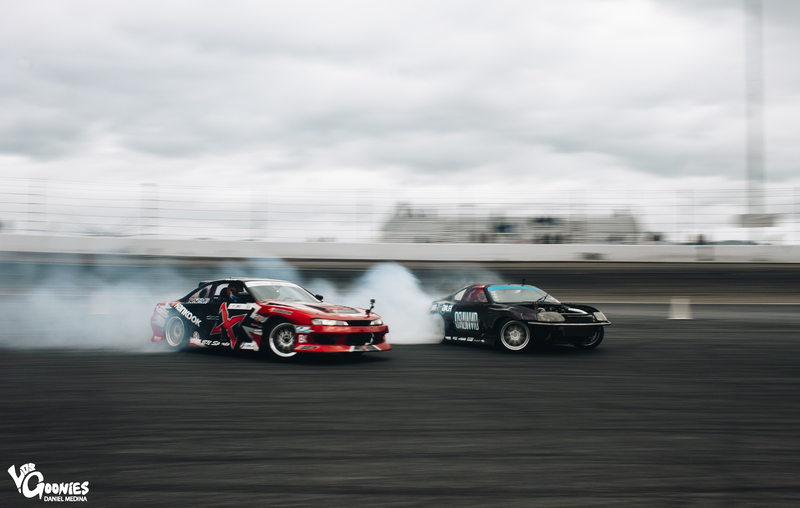 Because drifting is cooler when you can have your friends riding in the back with you. 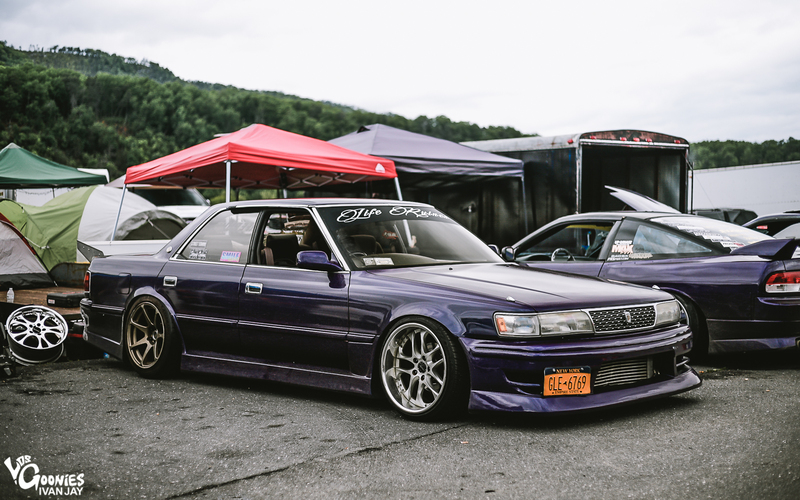 Fred Lump‘s 2JZ powered Y33 Infiniti Q45 was one of my personal favorite cars there. 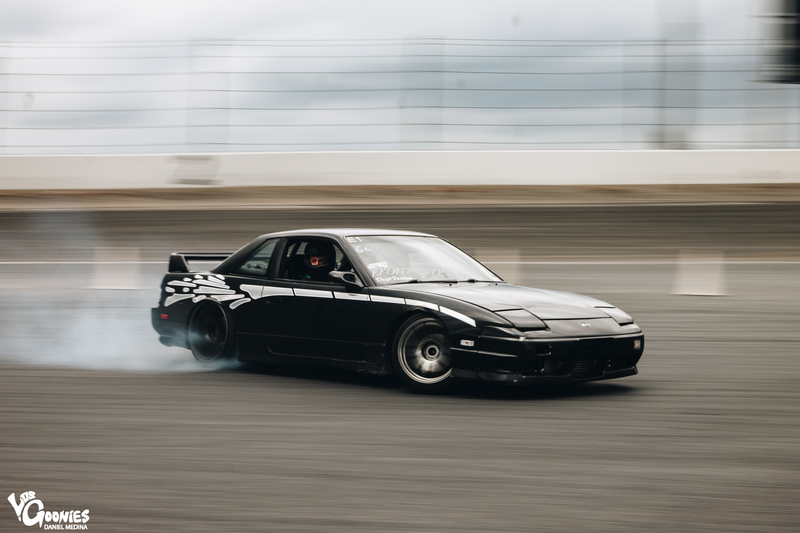 This car sounds as good as it looks, and having tinted windows and massive clouds of smoke coming off its rear tires is the coolest possible way to drift a car period. 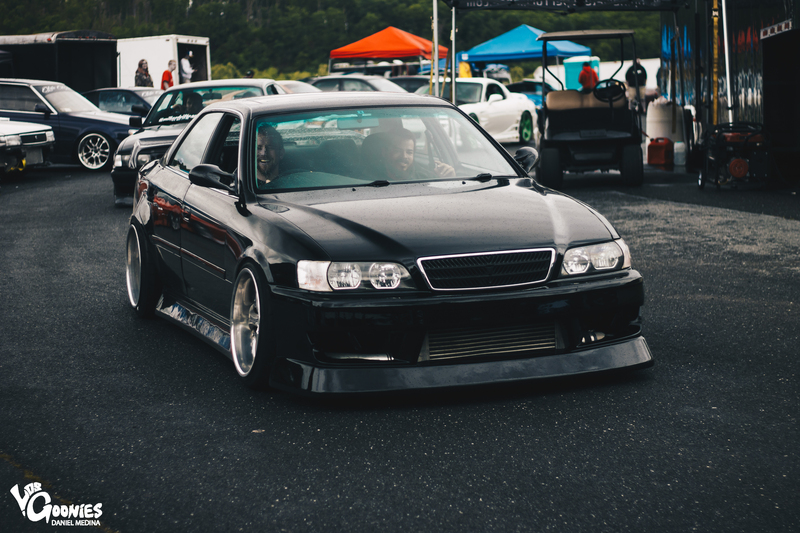 Kiely‘s freshly completed JZX100 Toyota Chaser was another one of our favorites in attendance. 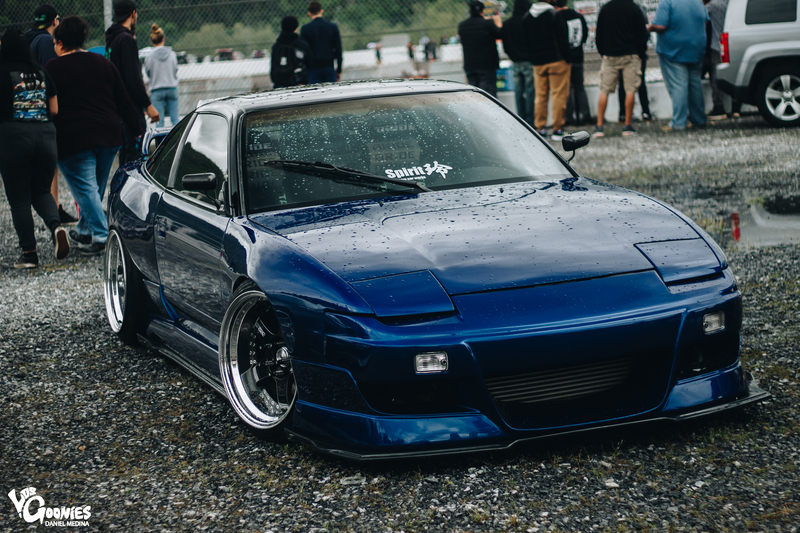 Just look at this thing man. 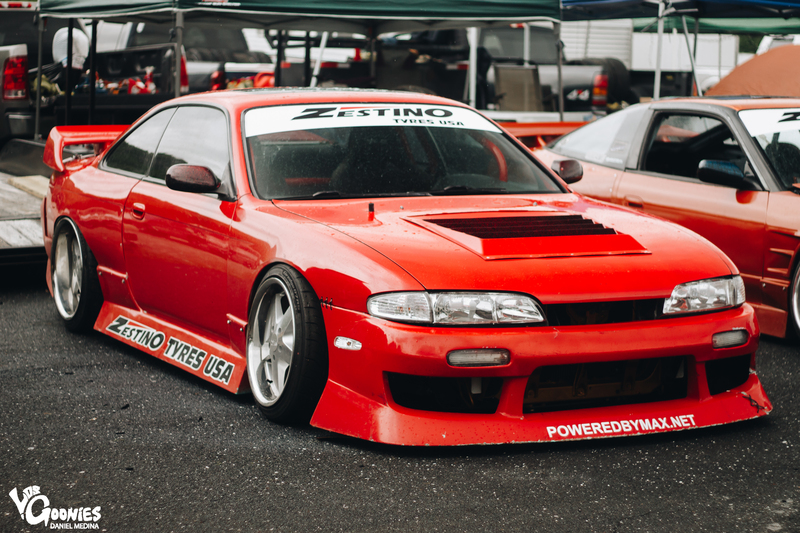 Good lord, these cars are just too cool. 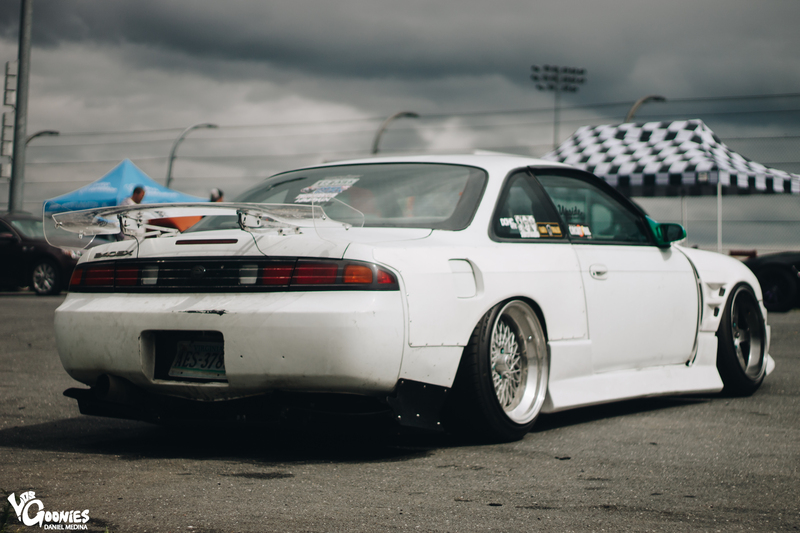 Sedan life is the best life. The power of the internet is a incredible thing when its used in the right way isn’t it? 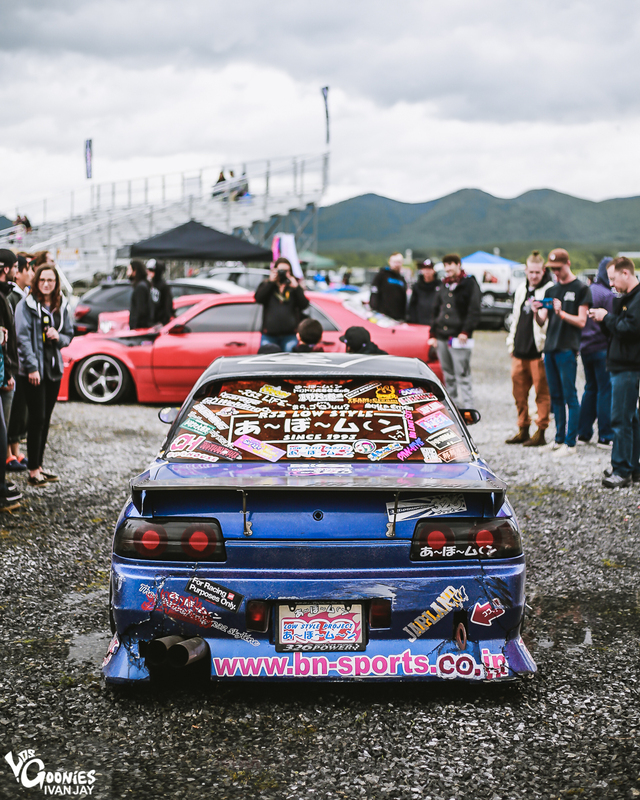 We hope to see this culture thrive from events like this in the near future. LosGoonies would not only like to thank everyone for the opportunity of covering this event, but say congratulations to all parties involved in making this happen. Well done folks. We hope you enjoyed this coverage. Stay tuned for more in the upcoming 2017 season. Thank you for reading.